Do you want to improve your English speaking skills? Our recommendation is you should practice speaking everyday. The more you speak, the better skill you will get. In addition, you should speak slowly and clearly. Don't try to speak fast as a native speaker at the beginning. The following lessons and tests will help you to improve and test your speaking skills. 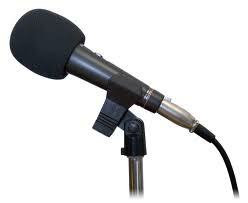 To do this part, you need a headphone to listen to questions and a microphone to record your speaking. Hundreds of lessons help you pronounce English perfectly. There are a lot of topics for your to practice before taking the real TOEFL Ibt speaking tests. If you want to practice speaking English perfectly, choose this option. You have to practice until your speaking is perfect before moving to the next questions. Select this option if you want to practice for general purpose.